The Hotel has 113 modern and comfortable rooms, can accomodate up to 3 adults and for families we can arrange practical interconnecting rooms. All rooms feature independent A/C-Heating system, laptop-size safe, wi-fi, a well stocked minibar and a courtesy kit in the bathrooms. Our restaurant allows our Guests to taste delicious typical disse, paired with great wines from the region, in a relaxed and cosy atmosphere. In addition to our “A la carte” menu it is possible to organise packages including half- or full-board. 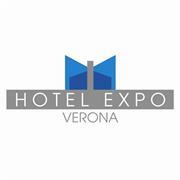 The Hotel Expo Verona has to offer to its Guests there are a spacious free parking, an undergourd Garage, a Fitness room with Whirlpool Tub open 24h, a useful internet-point with printer. All our attentive, professional and smiling Staff, is happy to assist our beloved Guest arranging excursions, tickets for events, museums and concerts, Taxi services and a lot more.